Applying livestock manure from lagoon storage through center pivot irrigation has long been considered a low-labor, uniform method of application that can deliver nutrients in-season to a growing crop. Three challenges with this system have been odor, pivot nozzle clogging and loss of nitrogen. A new innovation in lagoon treatment addresses these challenges. 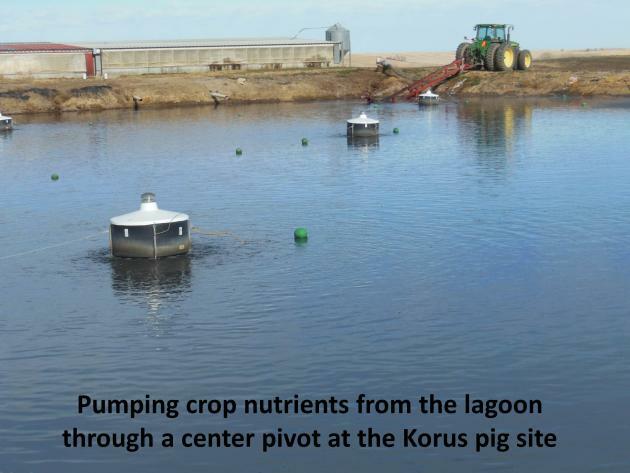 Low-power circulators were installed at a Northeast Nebraska commercial hog finishing facility and used to aerate the lagoon by moving oxygen-rich water and beneficial microbes to the bottom of the lagoon, reducing odor and potent greenhouse gases while lowering disease pathogen risk. This process preserved nitrogen and made it 40-60% more available in the first year of application. Circulation also reduced lagoon solids and bottom sludge, resulting in reduced agitation and dredging expense. Having a continuously well-mixed lagoon facilitated accurate manure nutrient sampling and consistent nutrient concentration delivery to the irrigation system. 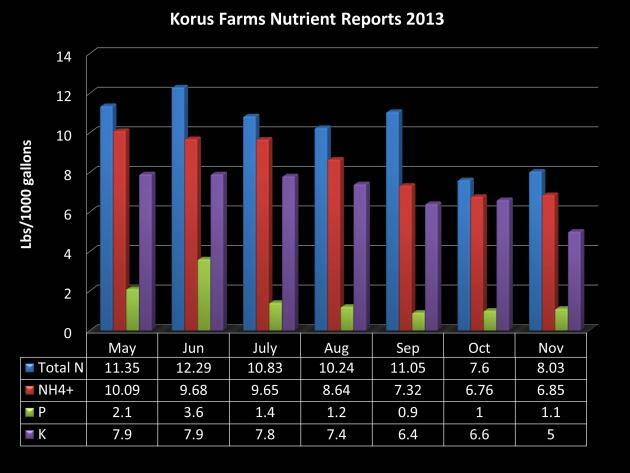 Combined with the ease of calibration of the center pivots, precision uniform nutrient application was achieved. Center pivot application had several additional advantages over tractor-based systems: less soil compaction, optimal nutrient timing during plant growth, higher uniformity, lower labor and energy costs, and eliminating impact on public roads. The circulators combined with flush barns and center pivot irrigation creates a complete turn-key manure management system. 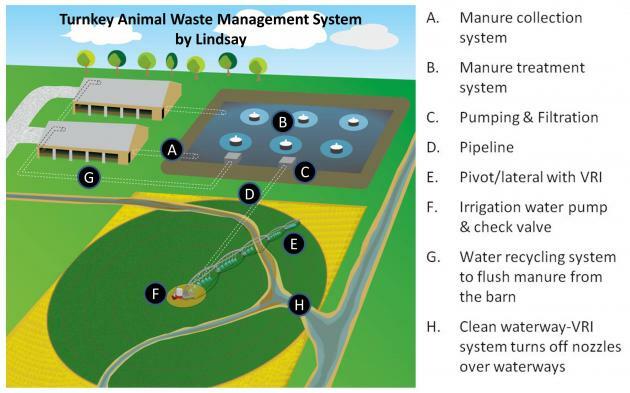 Do Circulators Make a Difference in Liquid Manure Storage? The purpose of the project was to evaluate the effectiveness of low powered circulators to treat livestock waste in lagoons. The objective was to evaluate how the addition of circulators to a livestock pond would change: 1. Odor levels, 2. Pivot nozzle clogging problems, and 3. Nitrogen loss. A demonstration was conducted by installing five circulators on a lagoon receiving manure from a 3000 pig finisher facility. The lagoon is owned by a Lindsay customer that was already pumping the top water from the pond through pivots, but was having difficulty with plugging nozzles and was hiring a commercial pumper to agitate and pump solids. The circulators were installed in May of 2013. Starting with the day of installation and each month after through November 2013, effluent lab samples were collected, photos of the pond and effluent were taken, and odor level estimated. The effluent was pumped through pivots where odor and nozzle clogging problems were evaluated on August 15th and December 2nd of 2013. The pond was refilled with fresh water, circulated for a few days, and re-pumped right after the August 15th event so more of the nutrients could be utilized by the crops. The benefits of using aerobic lagoons with livestock waste have been known for many years. The challenge has been finding a cost effective and reliable method to facilitate the process. The cost to run all five circulators was about $3300 per year figuring $0.10 per kWh. 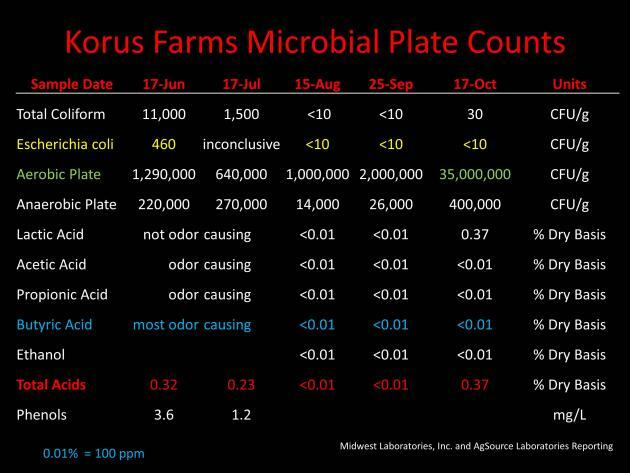 We would like to continue evaluating the system for more precise odor reduction ratings, nitrogen preservation during pond storage, and affect on disease pathogens. Call Steve Melvin at 402-829 6815 for additional information.